Dr. Hodge’s strength is teaching others to evaluate and change their internal language! Dr. Hodge has been an invited guest to a multitude of conferences, panel discussions, and podcasts. She is available to collaborate and provide her expertise in the format of specialized talks or interactive workshops. 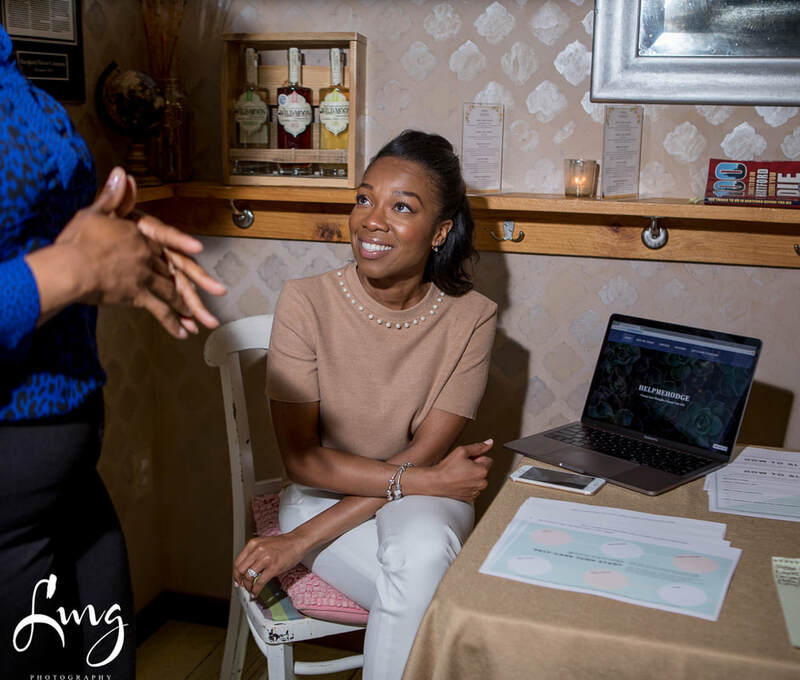 Whether selecting a curated workshop or scheduling a media interview, Dr. Hodge will work with you to develop a targeted presentation that your audience will not forget! *Fees vary based on event size, budget, and travel. Audiences receive interactive discussion that highlights practical tips along with a call to action! It’s not always easy to discuss mental health in public spaces in a way that feels accessible and relatable to everyone in the room. Yet, Alicia managed to do just that. The audience and I were moved by her ability to weave an academic analysis of mental health issues with personal anecdotes and stories, which made for an enlightening and powerful discussion. The ease and eloquence with which she spoke helped create a welcoming space for us all to reflect on our own mental health journeys. "There were a number of girls that recorded and shared what you had to say"
It was great working with you! Your material was extremely relevant and needed for the social climate that we are in. After engaging in such a thought-provoking conversation, having your presence there for girls to feel comfortable about the idea of therapy/talking to a therapist -I’m sure sparked for more people to be open-minded to it. Your thoughts resonated with the audience for sure. "She has a clear passion for her work and desires to see others THRIVE"
Dr. Hodge was able to capture the audience with her straightforward—and oftentimes–humorous–keynote presentation about stress and anxiety. The attendees felt comfortable to engage in dialogue about their own struggles.